Still experimental, but it's been activated the Telegram Channel, so you can have news and link to images in the streaming of Telegram too. ORC: the VIP boat at the start. 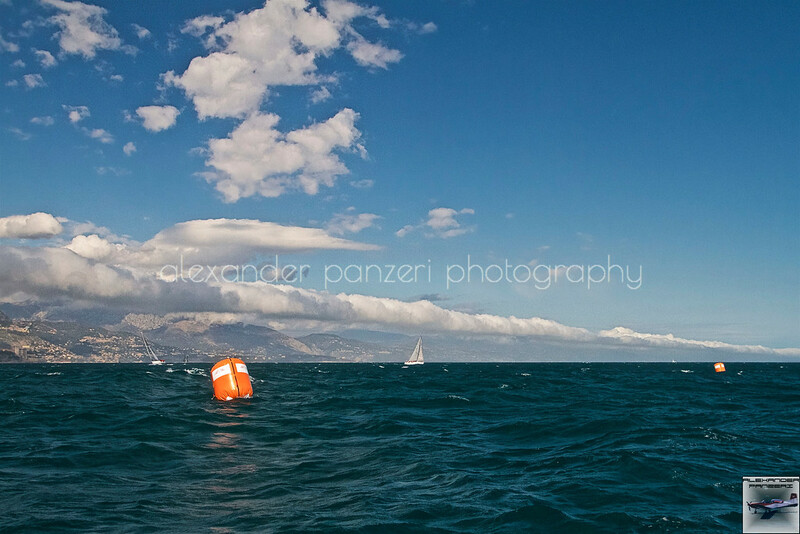 copyright © photo Alexander Panzeri CVT: skipper briefing near one of the model brought by the Sponsor. I’m a bit late in the report this time, just because I’m human. 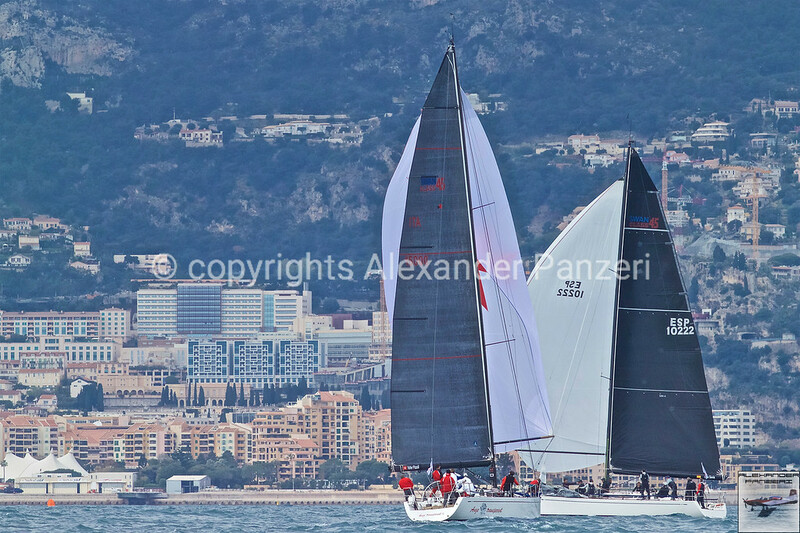 Last week I was in Monaco for the Swan One Design Stage that I left it earlier, Friday late noon (luckily http://bit.ly/2VNIVuZ), to drive 400[km] back home to be on the field the Saturday morning. 9° Trofeo Lario Mi Auto (LandRover). The event also has hosted the 1° Stage of the Campionato Velico del Lario (O.R.C.) 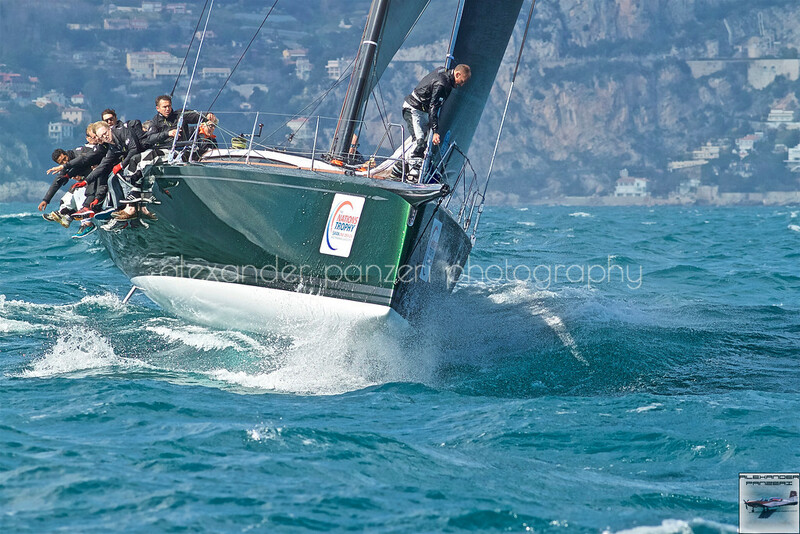 and the 2° stage of the Coppa Italia AON H22 Class. And, since Torben Grael participated to the Italian Championship 3 years ago, the club with H22 organise the 2° Trofeo Projeto Grael, to rise funds to help his association. I was worried during the transferring for the weather forecast, but the lake has showed a first day with chilly sunny noon with a good Breva up to 12-15[kts]. 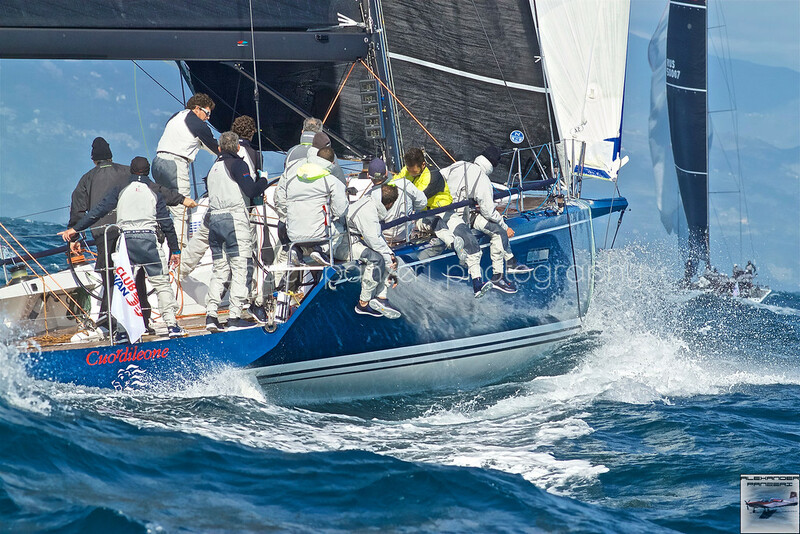 ORC: The young team on the Melges 24 ITA-122 Neghene'. Really much better sailing condition than in Monaco. So the O.R.C. 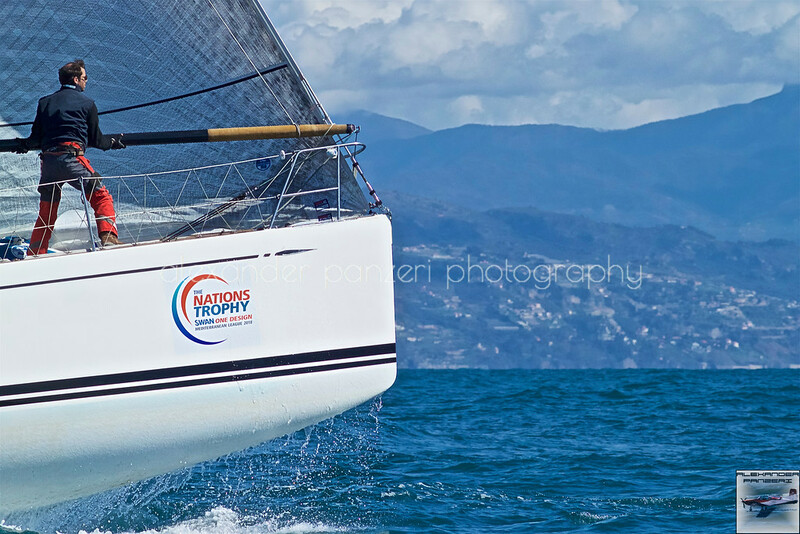 has made 2 races and the H22 class 3 races as had been planned. The notorious mountain in the Manzoni's book: Resegone covered by the last snow. copyright © photo Alexander Panzeri H22: BREVA ITA-106 and the "spring-time" landscape: the Resegone covered by the last snow. copyright © photo Alexander PanzeriAnother story Sunday, the forecast models were right: the snow arrived till 500[m]amsl and temp. air=6.5-7[°C], a small hole of blue sky has fired up the hope, but soon it started to circling around the lake till to the north, where it had been filled up and killing all hopes. 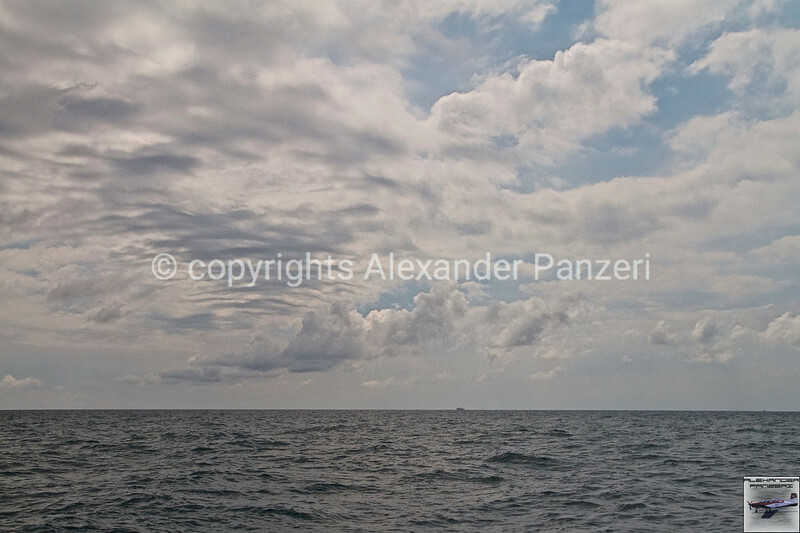 copyright © photo Alexander Panzeri CVT & H22: The R.C. support, running with the N (November) flag in front to the H22 in one of the attempts. In this situation the optimism and attempts of the R.C. to try to start the regattas, also with crooked fields, should be noted. 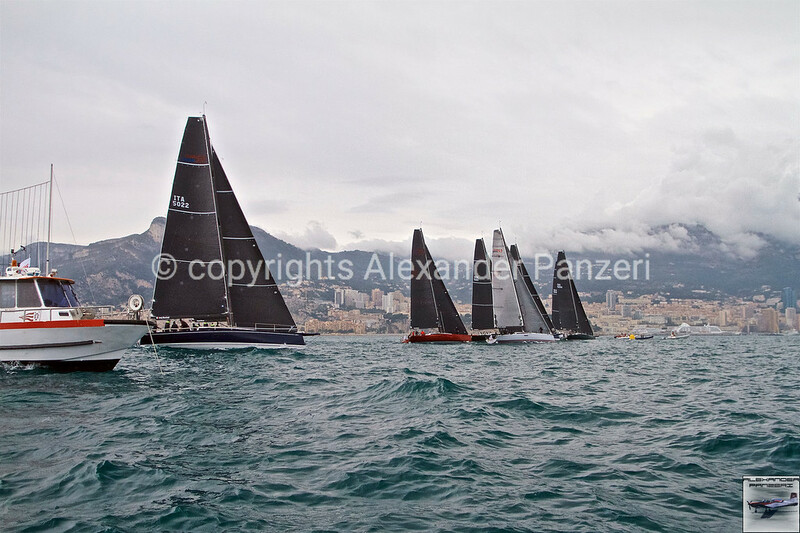 Result: one shorted race for H22 and a delete race for ORC under heavy rain and no wind. H22: ITA-201 Altatensione crew after the reduction under the rain. 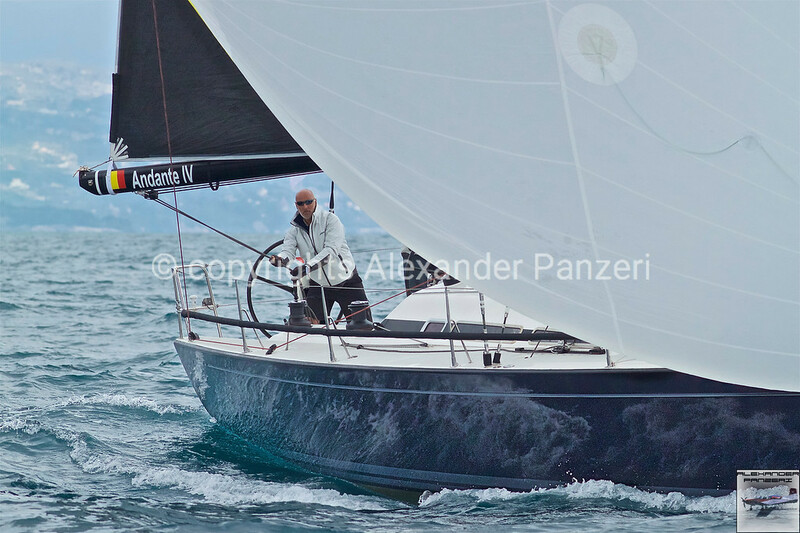 copyright © photo Alexander Panzeri ORC: La Zia with Enea Beretta, manager of CVL, at the sheets. 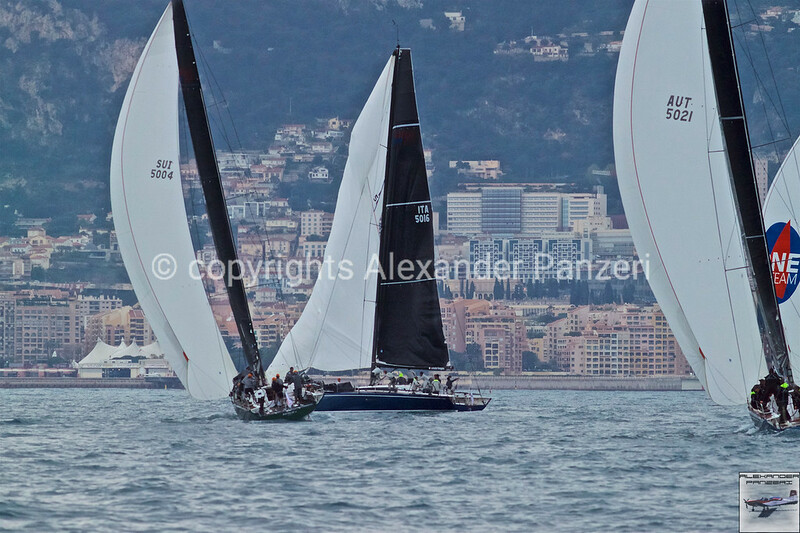 copyright © photo Alexander Panzeri Mix of classes, ORC and H22 + J24 on background. 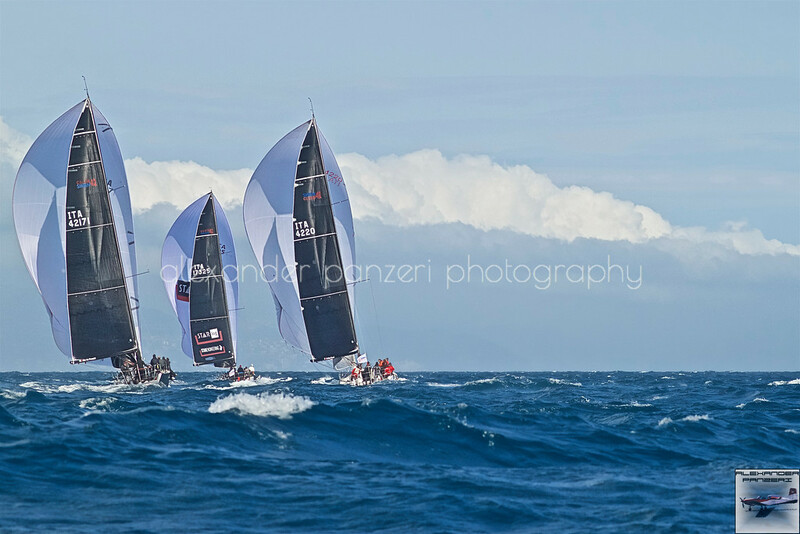 copyright © photo Alexander Panzeri H22: ITA-119 Adrenalina and ITA-112 KIKKIO downwind surfing battle. 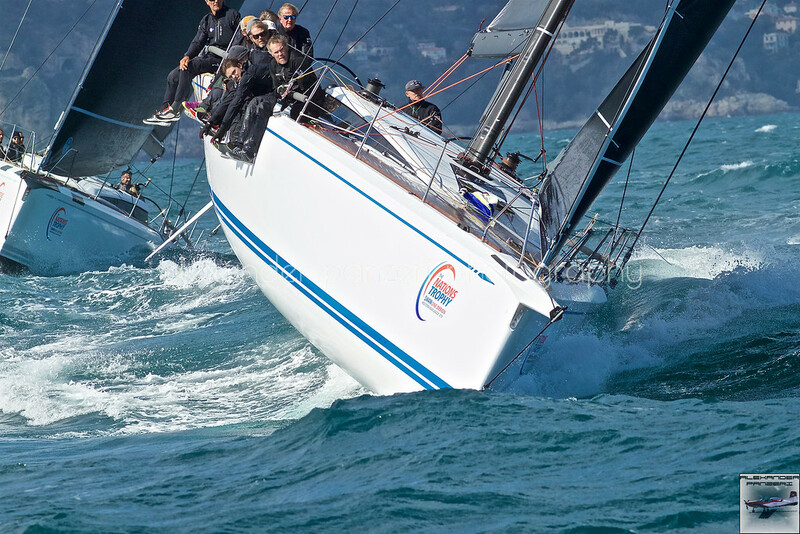 The H22 class has seen dominance (and revenge over the Primo Cup) of ITA-143 Splinter, the Italian Champ. 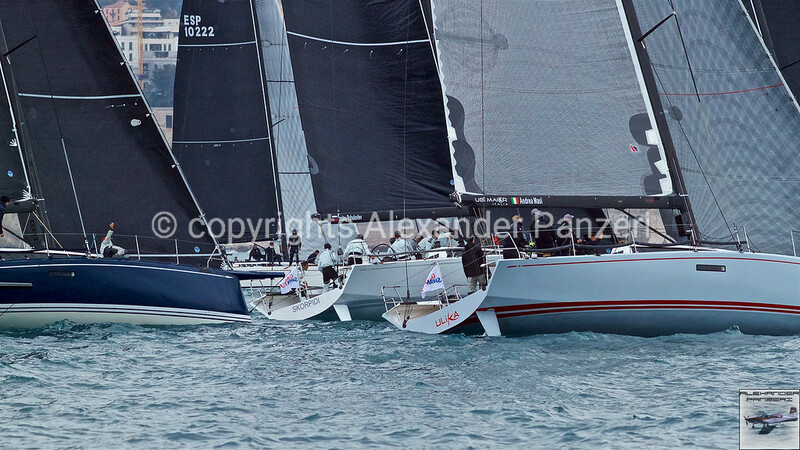 in charge, followed by ITA-119 Adrenalina, which did a terrible mistake in the last race. All departures were a “mess” specially considering the long starting line available. On the boat with the colors of Projeto Grael Davide Casetti hosted the record-man Alessandro “Dado” Castelli (http://bit.ly/2DfMfrq) and his daughter Emma. H22: ITA-126 Hidrogeno, The record-man "Dado" and his daughter on the Davide Casetti's boat that bring also the Projeto Grael logo. 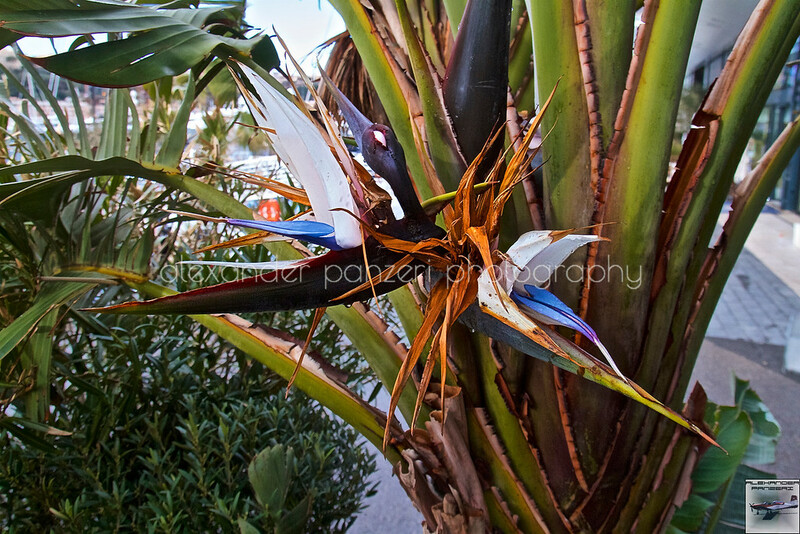 copyright © photo Alexander PanzeriThe O.R.C. 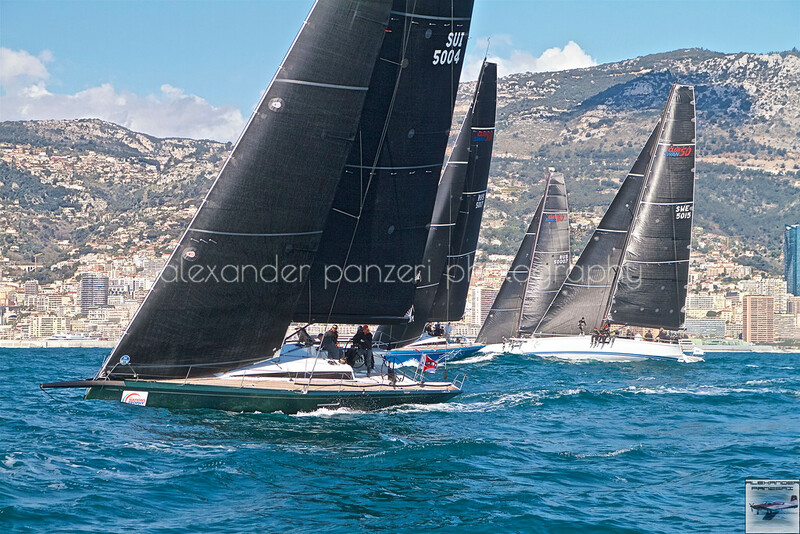 event, considering the meteo, has a good participation, with 23 boats on the line, showing the growing success in the years (as alternative to dying one-design classes). 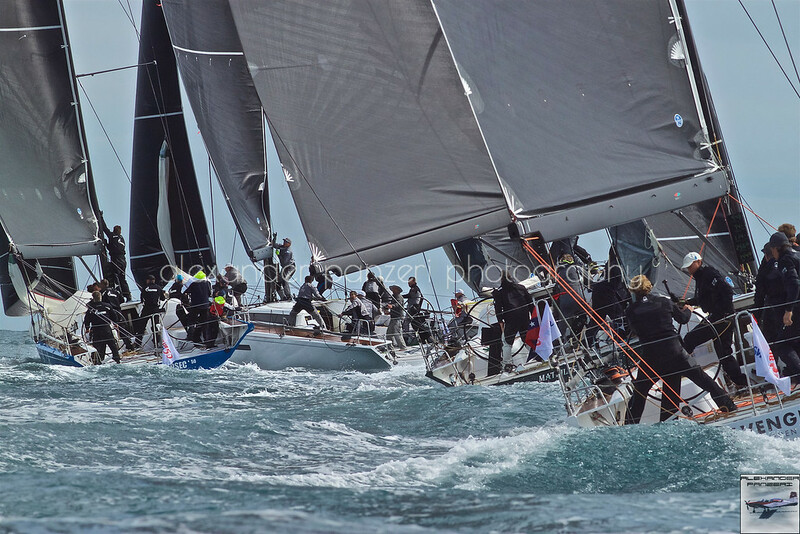 In particular the championship is attracting more and more big boats (30+ feet) and high performance in the ORC A, while the J24+Platu25 in the ORC B are making the “class” really on fire. 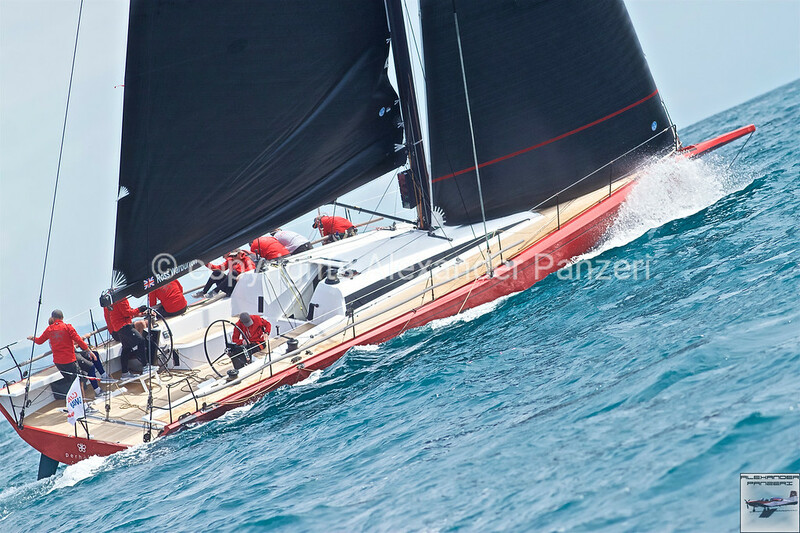 ORC: OCEsse ITA-72, the Esse850 with "star" sailors on board. 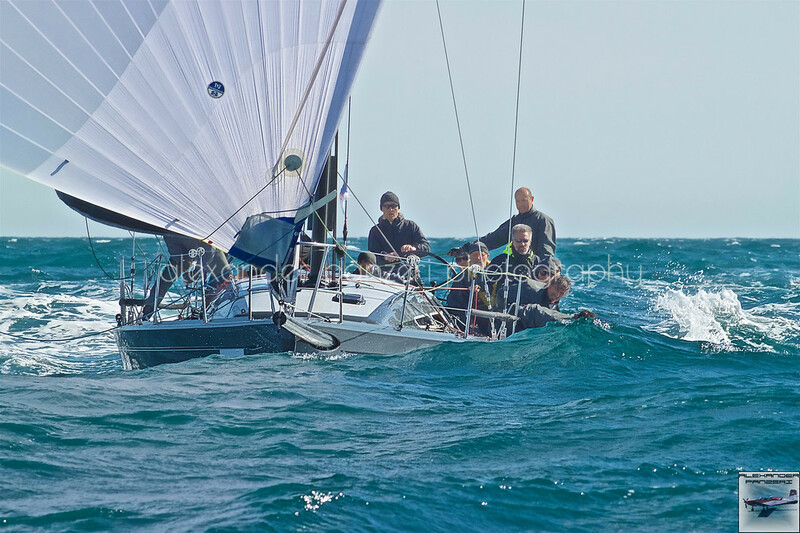 First of all I’ve to mention the new entry: the ESSE-850 ITA-72 (launch just in January 2018) with a stellar crew: Carlo Fracassoli (x2 World and EU Champion and sail designer http://bit.ly/2Diw2C2), Dario Noseda (first to cross the ocean in a Star http://bit.ly/2Diw2C2 ) and Oriano Lanfranconi at the helm. Second, the comprehensible lack of the 2 old ladies of the lake: the 2 classic 6m I.R. I-58 BAU BAU and Z-107 Gitana Junior, “Due perle di Lago”. The ORC A has been dominated by the V.I.P. 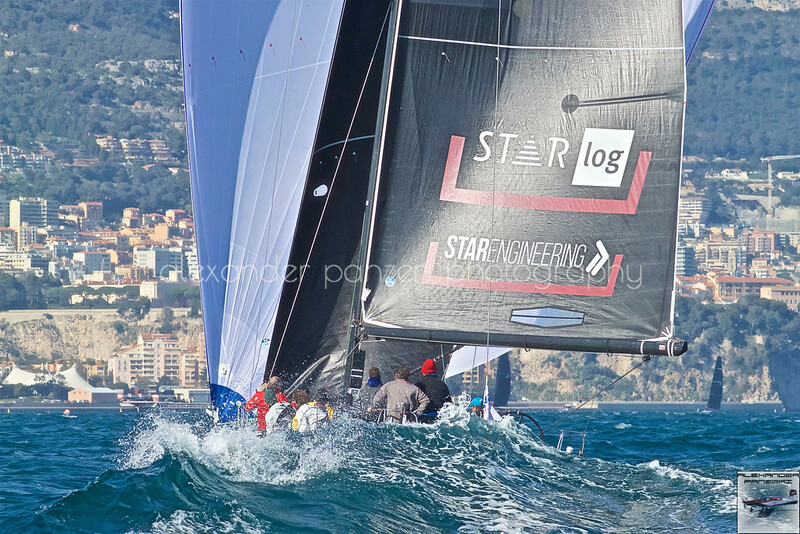 crew followed by a good performance of the Melges24 ITA-122 Neghene’. ORC: The narrow fight of the ORC at the first mark. 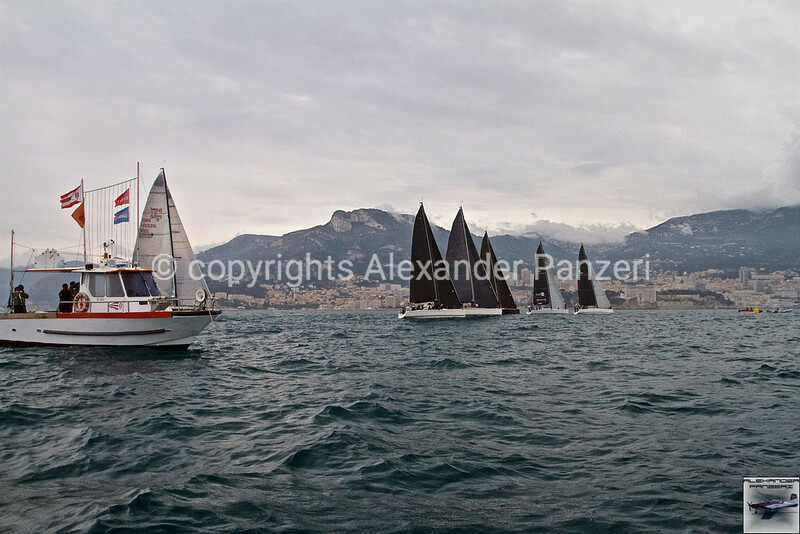 copyright © photo Alexander Panzeri ORC: Battle of class, J24 tacking near the shore. 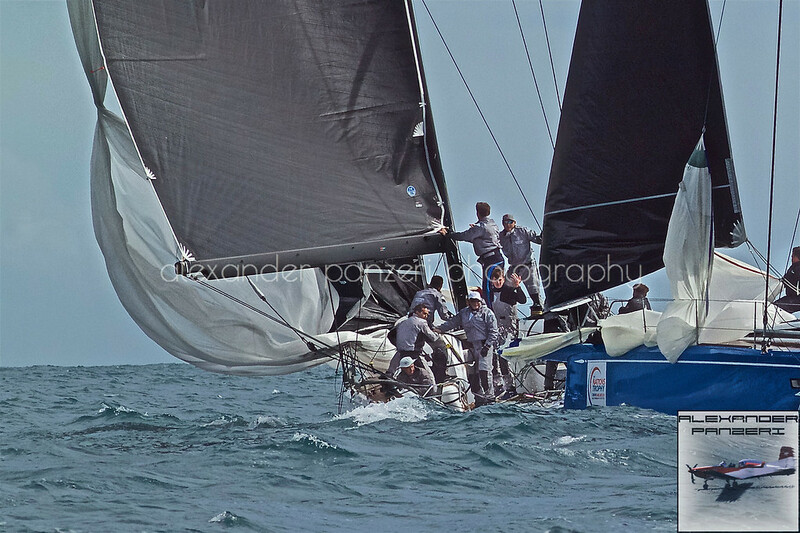 copyright © photo Alexander PanzeriIn the ORC B, the fight was really strong in particular between the 4 J24 (3 veterans of the World Champ. in Riva del Garda) and the J80. Here we had 2 protests and a couple of injured sailors (I would say a normal situation for the first race, that needs break-in). 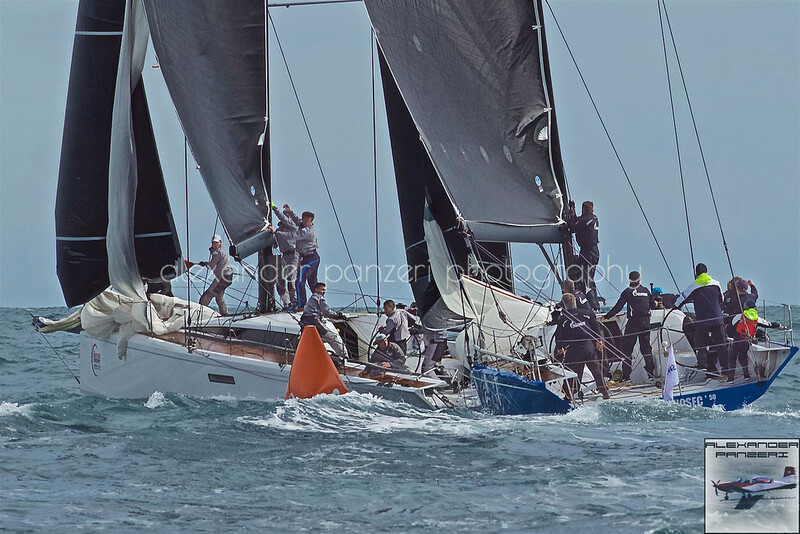 ORC: The big crash and protest in the J-Boat family: J80 bowsprit in the stern of J24. ORC: The winner: ITA-143 Splinter (Stefano Nonnis) with the trophy in the hands in front to the new Evoque. Last note I want share is for my club and CVL organization for the great job they did, I know I’m “parte in causa”, but with their small resources, they have been able to keep a high level standard on the water (fast deploy of the field) and on ground with “squisito” food and friendly mood. CVT: Giovanni, one of instructor, who has also the duty of ambulance this year. CVT: Dessert con colomba e primizie. CVT: Marzio the Chef at work with flames. 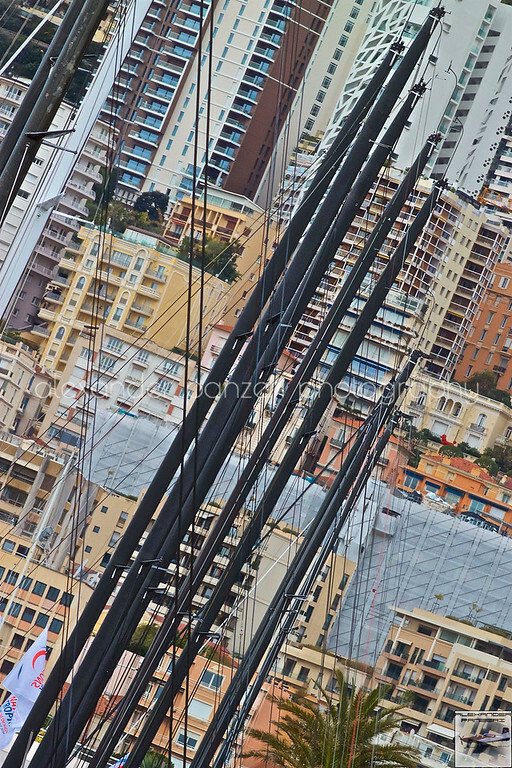 Now it’s time for families with the Holy Easter and World Cup in Genova are coming (on streaming). This morning AP signal was again up, but justified by the long night: the last lighting arrived at 06:30L closing the big storm that has heated the coast for the evening and night. But morning bring suggestions and on the horizon “L’Estérel” had showed a slot of opportunity to race. After a mild 3rd day (I wasn’t there), the press office had the mood a bit down, and crews were worried of the arrive of the wind or another storm. As I’m local, my worries were when the slot would be closed and we would be under the stormy shower (already had the experience the October 3rd 2015 flooding, https://youtu.be/4gymO_JM8aU). 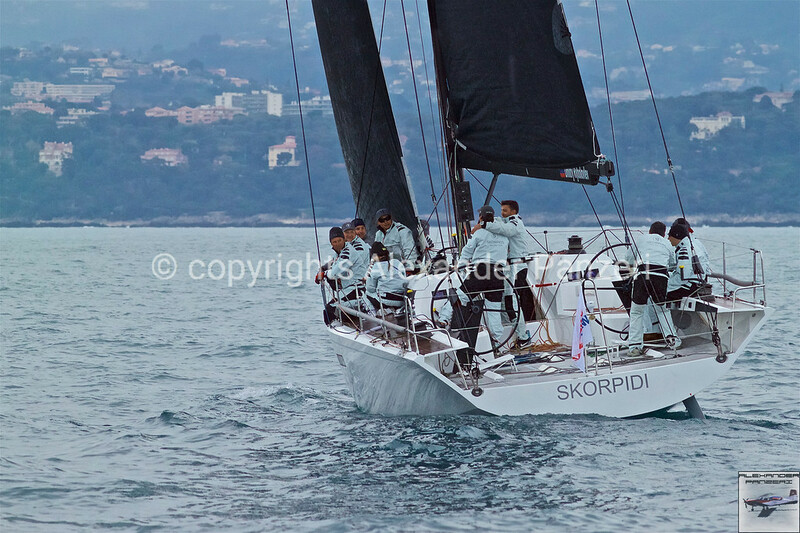 But again the paradise of the Côte d’Azur has show the best for the sailors and shooters! Long Waves and Good Fast Wind and Sunshine has given a great Start to the Show. 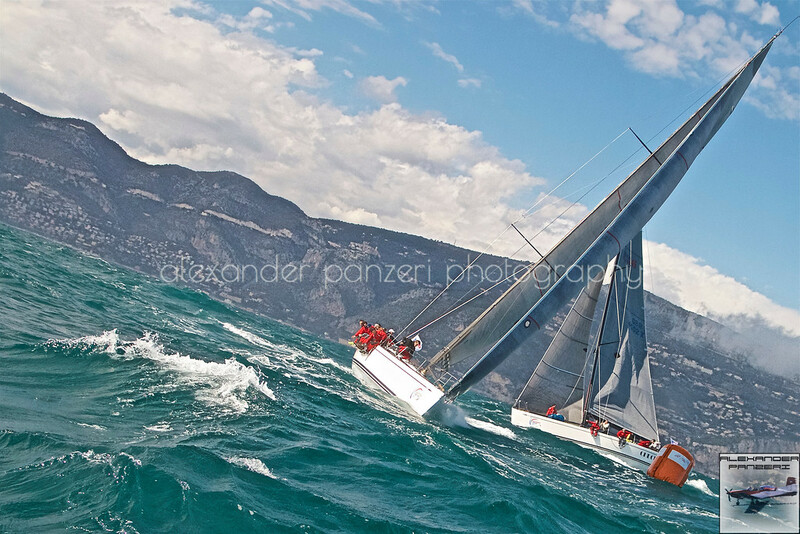 copyright © photo Alexander PanzeriAll team were ready to fight and doesn’t leave easy life to the leader, in particular in the class of 50’ where the patron was leading the regatta. 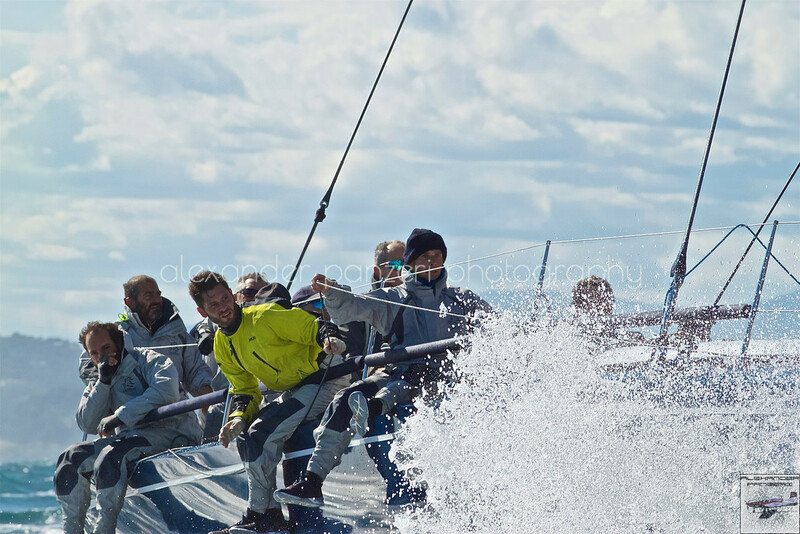 copyright © photo Alexander PanzeriAs pictures showing from south west big stormy cells were watching us, and the end of the 2nd race has obliged to change trouser, at least to protect from the chilly wind. At the end the sun is back. 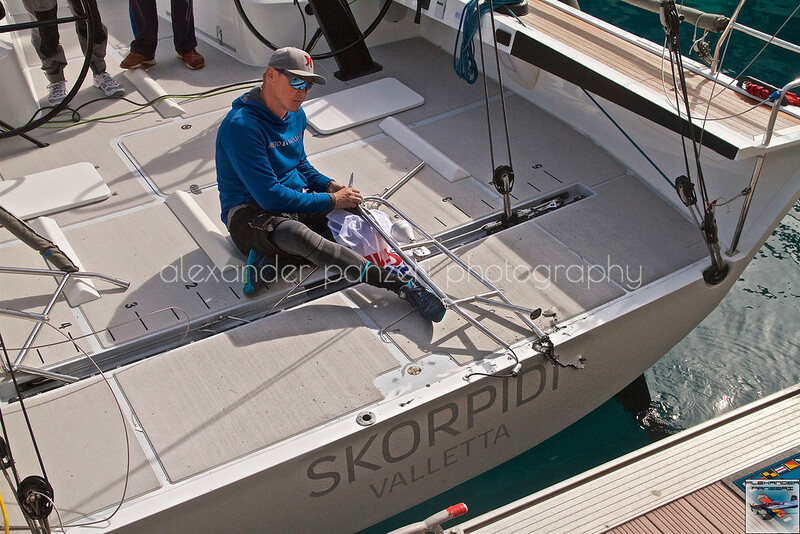 During the last race at the mark before jibe to rise the gennaker Bronenosec '50 RUS-5017 has crash the bowsprit into the stern of Skorpidi RUS-5007. At time to write, luckily only doing light damages to the boat is known. The event has closed with the prize giving. 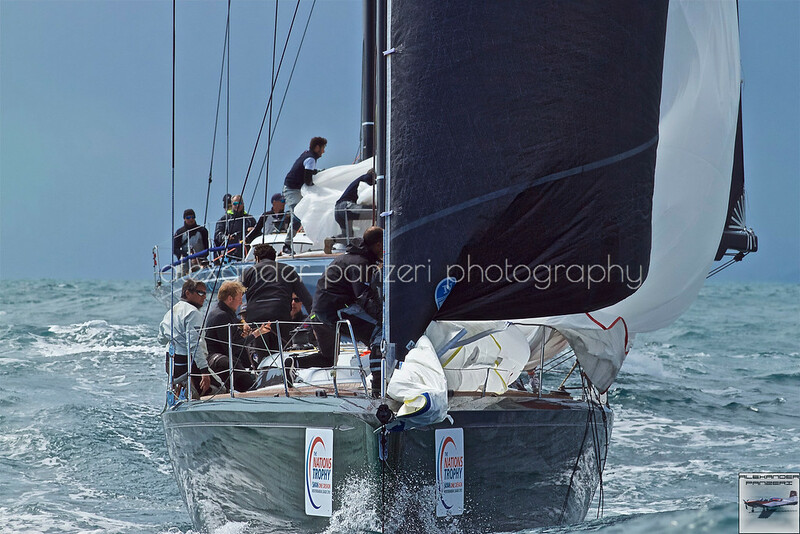 copyright © photo Alexander PanzeriWhat else to say, I wait to see the next year event bigger number of boat because Swan’s event is for the sailing and sailors!!! 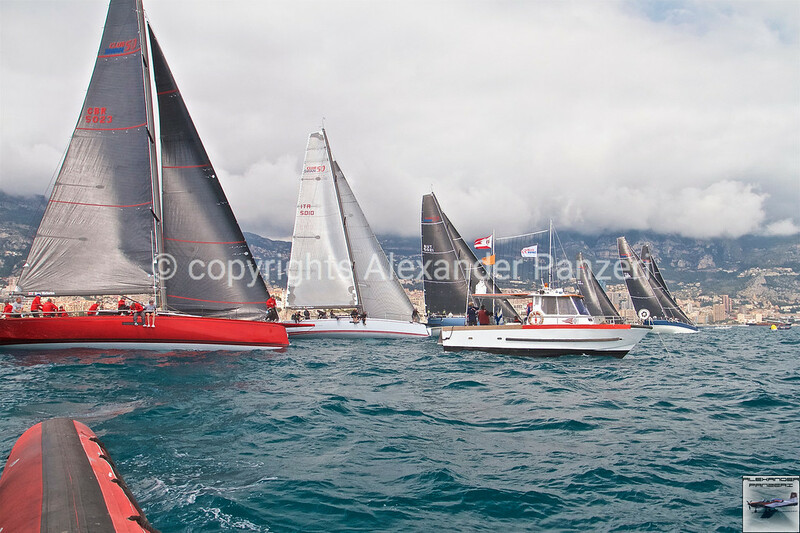 copyright © photo Alexander PanzeriEven if the starting line is long enough, the ClubSwan 50 has decided to be concentrated on the pin with 2 boats RUS-5007 and SUI-5004 has tried to start left tack from the pin, but the rest of fleet with ITA-50016 has push them back, also the leader of the standing RUS-5007, has been obliged to continue right tack initially with SUI-5004 and later with ITA-5010, finishing so the last to arrive to the first mark. 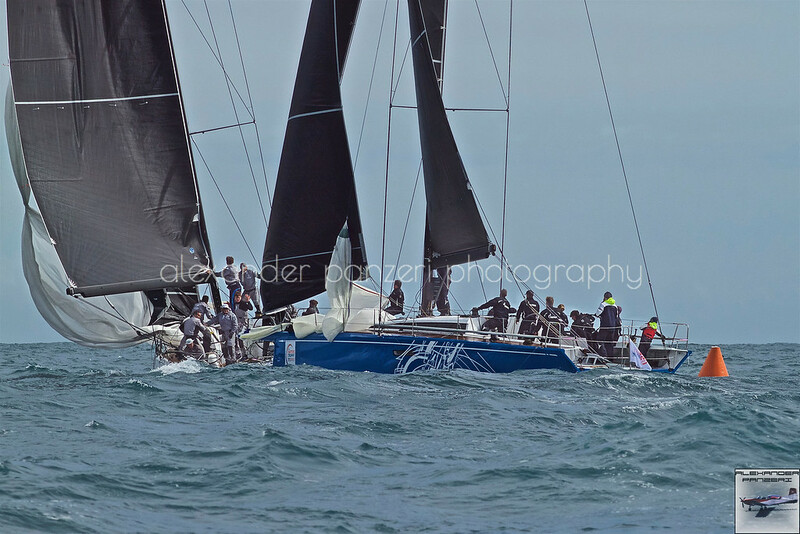 copyright © photo Alexander PanzeriCuorDiLeone has found the space to tack and overtake, behind, the rest of the fleet and at on the lay-line only OneGroup was in front to all fleet. 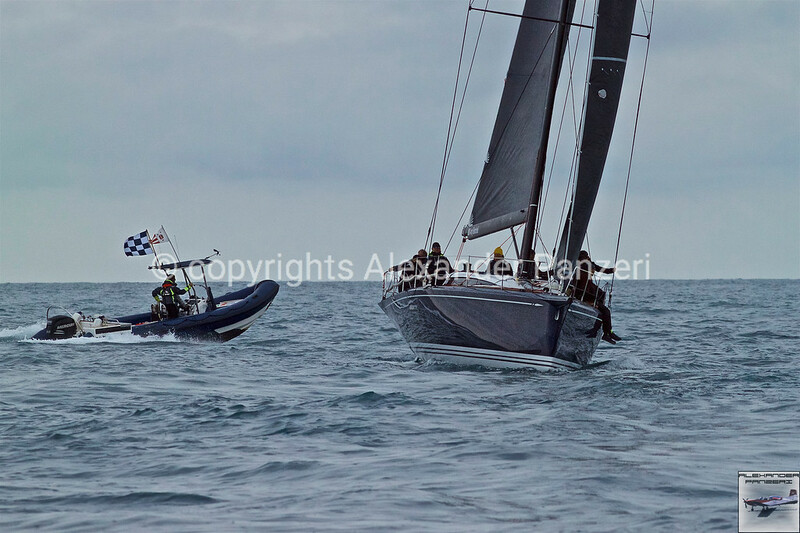 With a huge tactical decision on downwind leg, around half field CurDiLeone has decide to jibe, an action that paid: the blue boat has crossed the gate in first position, the same for Perhonen. 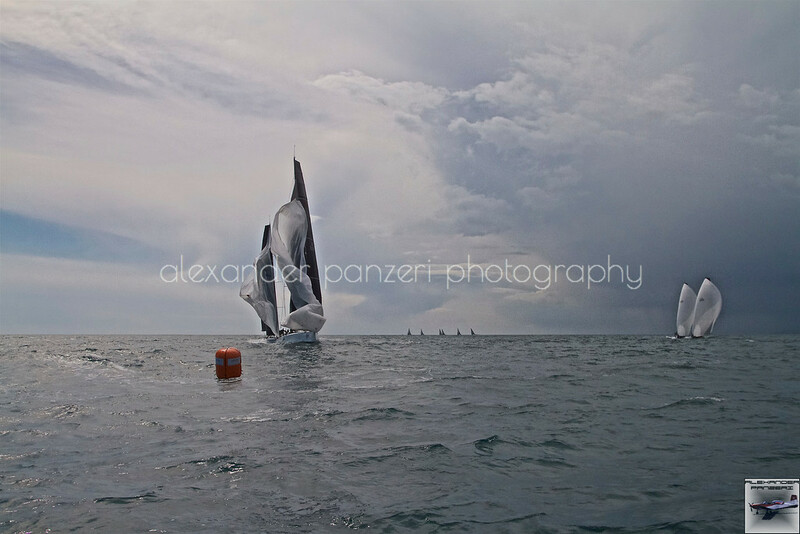 copyright © photo Alexander PanzeriOnce all fleet was already upwind, the R.C. has decided to use the blue checked flag (N). So all of us went back, wet, at home. The other fleet has a good departure too, but they decided to be in “sguarata” formation, flying for the most of the time alone. Did I mention the weather??? Not so, very light wind still from 070°, 2-5[kts] with gust maybe 8[kts], overcast and light shower. Yes a typical noon British weather. So as the title says, the only boat happy for the N flag is the leader of the standing of each class, in particular Skorpios that was in the last position. At the end to close the day, we had the visit of the Old Lady of the YCM: Her Majesty TUIGA D-3. 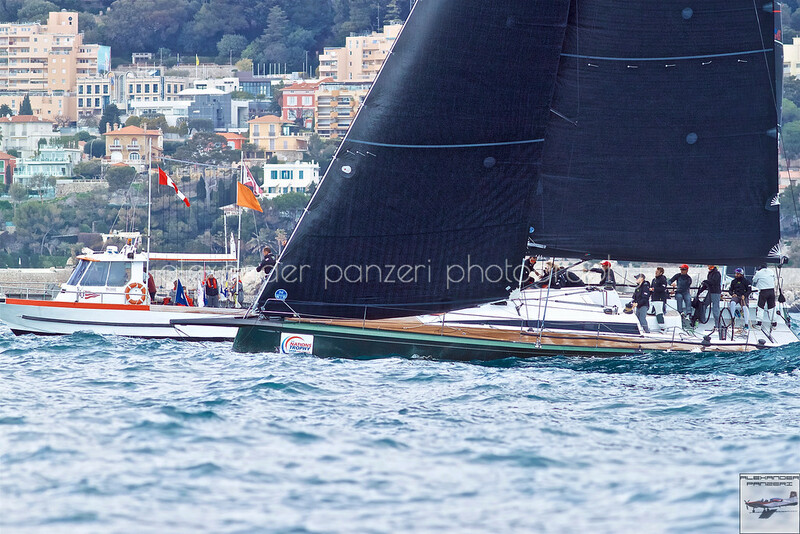 So I've had the possibility to shoot the two swans of the sea: the Club Swan 50 "In one word, this yacht had to be cool, developed by Juan Kouyoumdjian" (quote from Swan site) and the TUIGA D-3 m15 by William Fife the m15 king. 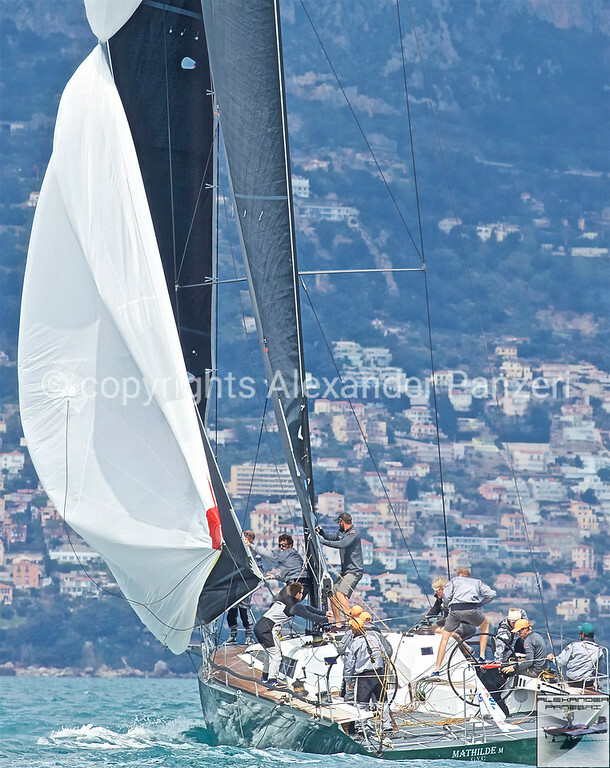 copyright © photo Alexander PanzeriAll are with crossed fingers for tomorrow for a better meteo, for me also it's time to load the car and drive to Lago di Como for the begin of the season on the lake with O.R.C., H22, J24 and Platu25 classes, the number of boats expected is around 40 (last time for a so big number was with the J24 Italian Championship). I hope the Breva (southerly wind) will makes the dynamic. Thanks to the good mood of the Race Committee, the first day has brought at home one race for each class. 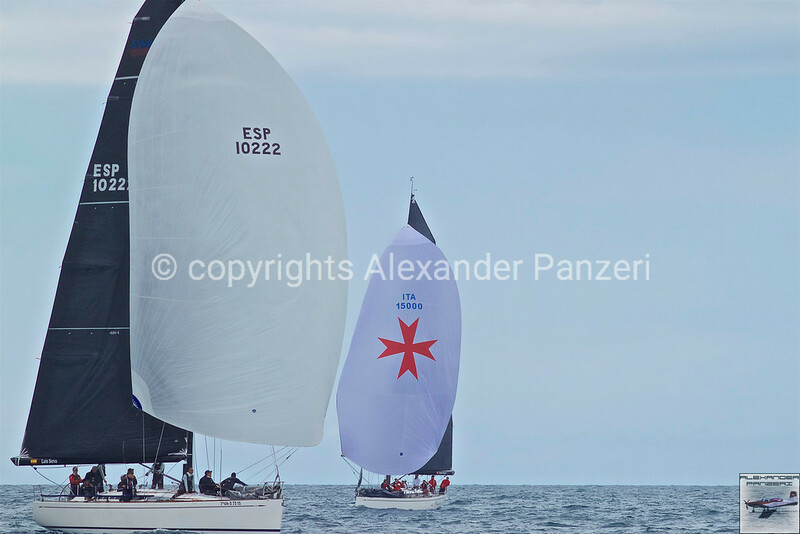 Maybe a bit too much conservative to try to launch the second race that at the end this has brought to rise the AP flag over Alpha flag (in my opinion, I would taken the risk to launch the ClubSwan 50 a.s.a.p arrived the last of it and if needed delete the race on a Mark, but the R.C. know his job, and I was just on the press-boat). copyright © photo Alexander PanzeriThe crown of the beautiful of the year is the last born Perhonen GBR-023 with her RED paint, Sorry Mathilde! Also a note for the “cangiante” blue-grey-violet of Stella Maris. 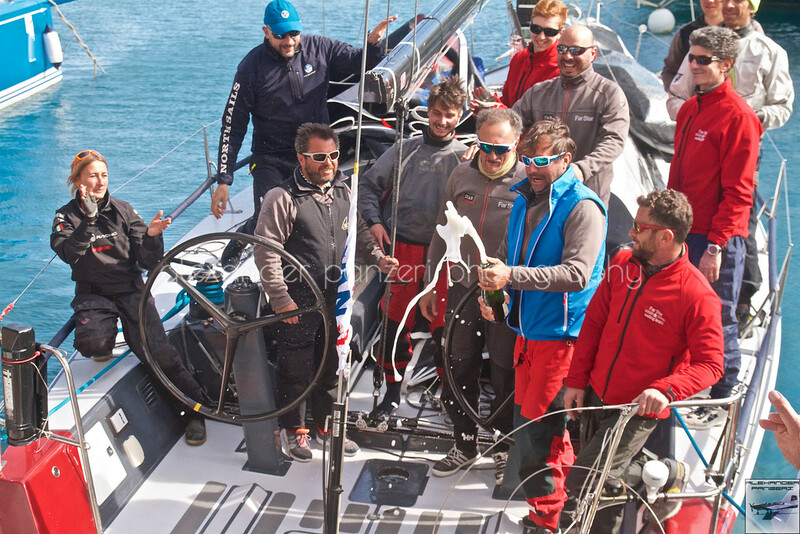 In the big class the fight is very close, and with a great tactics the race has been dominated by Skorpios (that had been k… damage in the crash last year). 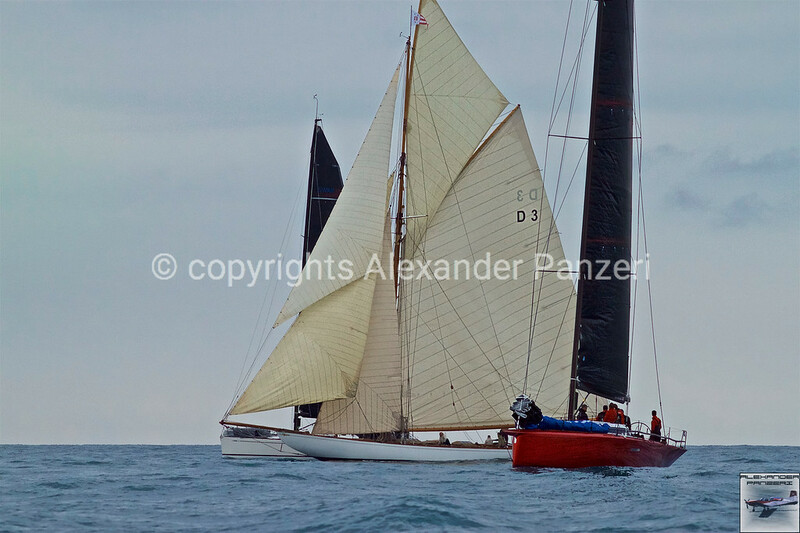 copyright © photo Alexander PanzeriThe flagship of the fleet CuordiLeone, helmed by the guest S.A.R. 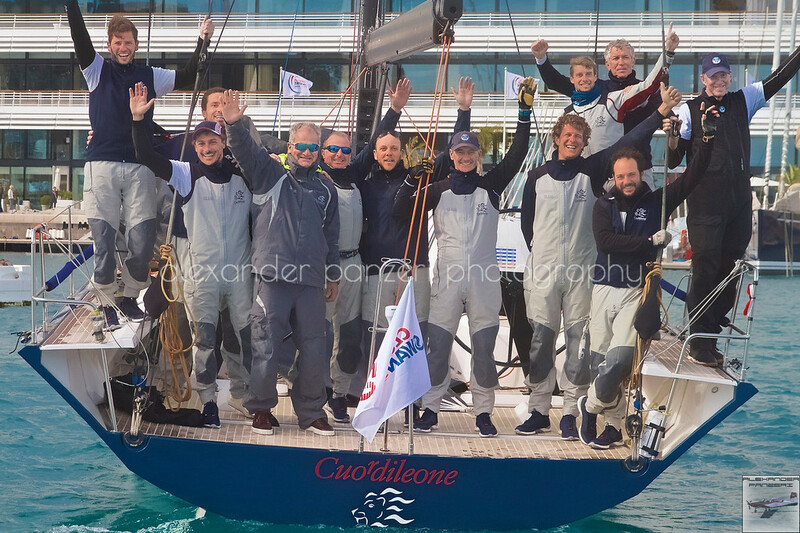 Principe Carlo di Borbone delle Due Sicilie supported by the King of the sails Ken Read, a regal boat, didn’t have a good first part, but at the end has showed a very good speed and has closed the gap with the first. 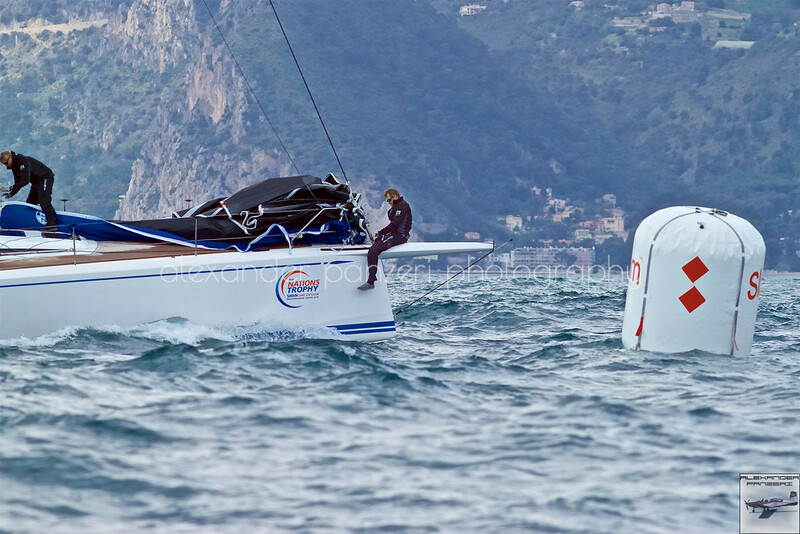 At the third place we find MATHILDE SUI-5004 that on the second hoist of gennaker had a caramella (candy). 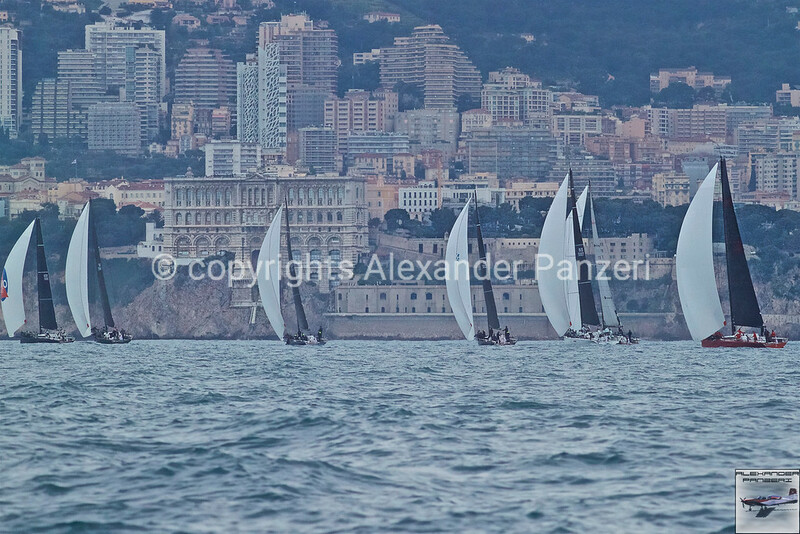 copyright © photo Alexander PanzeriFor the others classes, due to some defection (it’s really a pity that owners of 42 and 45 are not more active in Monaco) and the time spent to follow the bigger one, I’ve few word for them, in any case on the arrival line, the the fight was still on fire. copyright © photo Alexander PanzeriIt was clear that more emotion than last year was impossible but the forecasts are switching off our hopes for the rest of the event, so we keep fingers crossed. 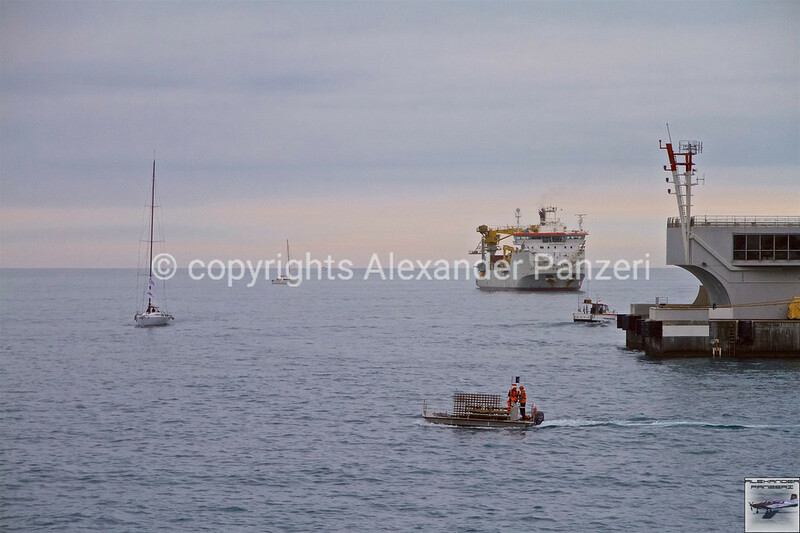 copyright © photo Alexander PanzeriThis morning AP signal was again UP already at quarter to ten local! For… …lack/variable wind and layer of middle/low clouds everywhere. The day wasn’t looking good, time to do other stuff (yes I was pessimist). With the arrive of holes in the sky some breeze started to show, the Race Committee went out and racers too. But outside the port the surprise: swell already formed probably arriving from Marseille, and more getting closer to the race field and more the wind became strong. 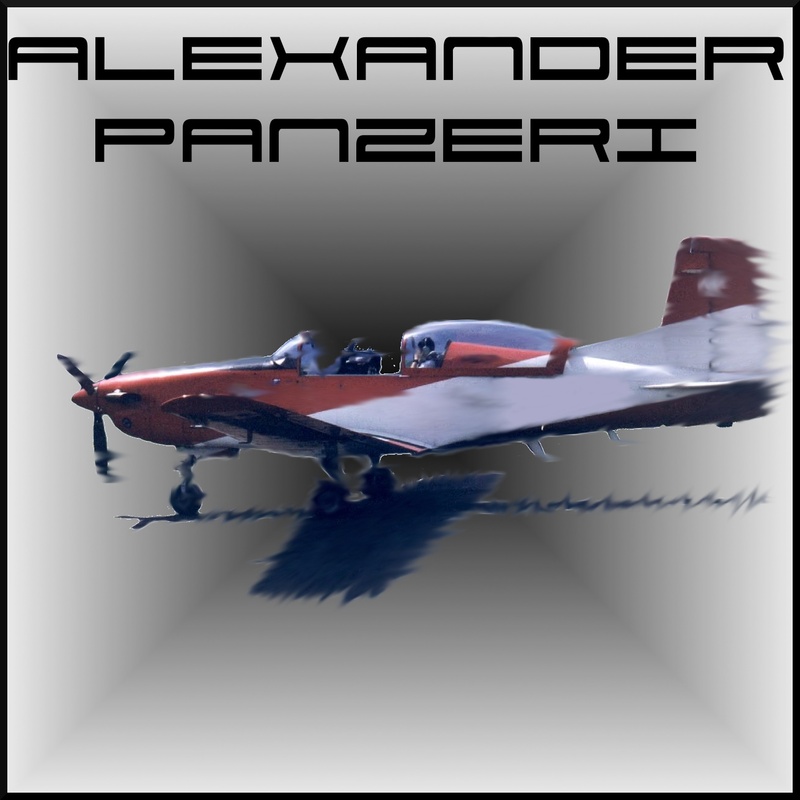 copyright © photo Alexander PanzeriPress R.I.B. was jumping up and down, Marks buoys difficult to be placed and some report at the upwind mark says wind at 30-45[kts] and big waves; Safety concerns rise and wait continue. Yes this time weather forecast were quite precise and the wind arrive strong. During the wait crews had had time to change sails. 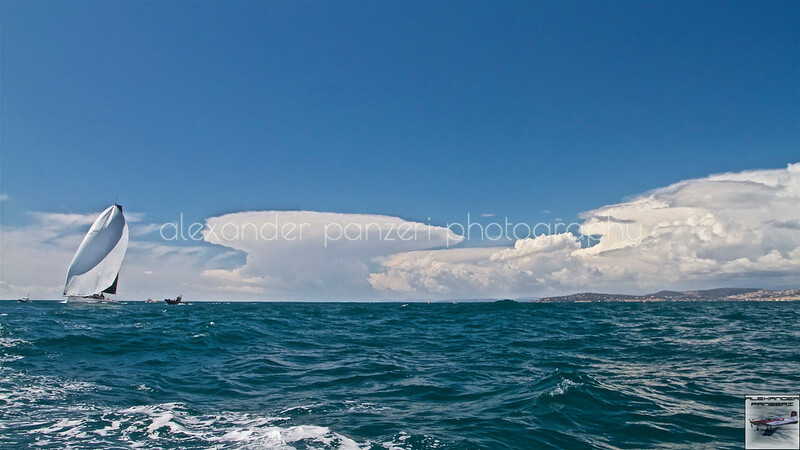 copyright © photo Alexander PanzeriThe good is the arrive of the sun, that has showed a spectacular cloud rotor long all peaks from Cap Ferrat to SanRemo as showed in the panoramic picture (in 30 years I don’t remember a so fast change of conditions and so particularly energetic). Shooters paradise: wind, waves, perfect light, well sailor and boats too: they showed the power of the Cyguns (Astronomic for Swan). 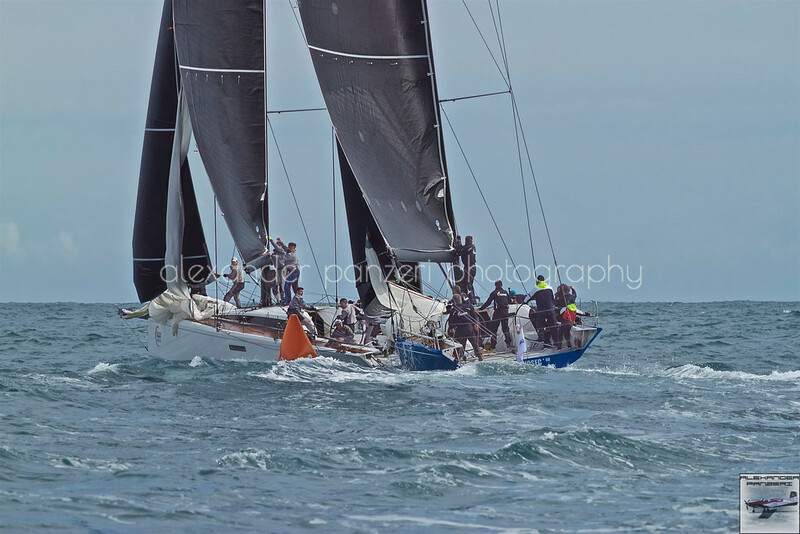 Again the R.C: has been obliged to modified the second upwind of race 4 relocating the mark closer; so well done to R.C. and Organisers. Unluckily the paradise ended soon, due to wind changing direction and pressure dropping that has brought to delete the 2nd race with November on Alpha flags and considering already 17:00L the equation was go home and relax (with a beer). For me the 3rd day is day off. Weather has an improvement, but the spectrum of low wind and rain is still there.